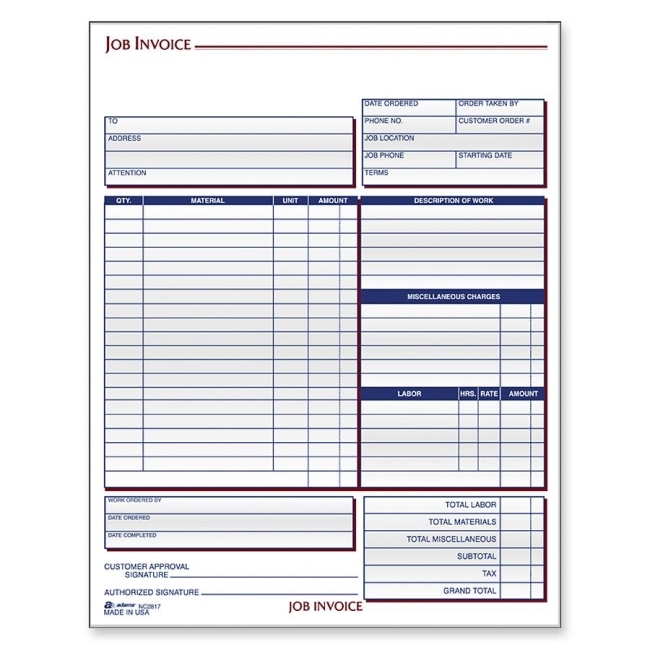 Job Invoice Forms for service and repair contractors come in two-part carbonless sets with large description areas for details about the work to be performed. 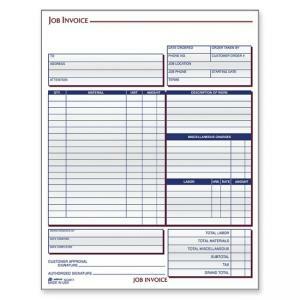 Forms have spaces for material costs, labor, miscellaneous expenses and your company stamp. Two-part carbonless format has white, white tag paper sequence. Includes 100 sets.